Sorry Gilberto first began as a project years ago, the origins and name of which are a haphazard and perhaps misinformed attempt at and apology for performing Bossanova-style music, said guitarist Jakob Dobers. In addition, the current constellation – which has been as such for the past four years – also includes bassist Anne von Keller. Together, the two have gradually transformed a once-collaborative musical idea into a duo uniquely their own. Yet it wasn’t forced, the result of a rare and meaningful pairing, in which things between the two – both of whom have been involved musically with other projects in the past – just clicked. “It came natural,” von Keller insisted, sharing how she and Dobers make sense together, balancing one another out. Meanwhile, Dobers speculated that perhaps the actual song content lends itself to being written and performed by just the two of them. As for how the songs come about, typically Dobers brings in an idea he’s been working on, and then the two will fill in the gaps together. Things like who sings the song, or whether they both do, are made apparent when the two are together, something that can be attributed to the unique compatibility they share. “We never argue about song or melody,” von Keller said, explaining how the two are almost always in sync with musical taste or ideas about a direction a song should take. “It’s very special,” Dobers agreed, and shared how the two both desire their music to be interesting but uncomplicated. Once a song is complete and ready to be recorded, the two like to make the music as unsterile as possible, so that it comes across to the listener as real. “When we record we try to…have this appeal of [a] very direct, kind of not really lively atmosphere but a very pure atmosphere,” Dobers explained. Sorry Gilberto’s newest album, “It was the longest day and we didn’t know how to end it,” is out on Goldrausch Records, but the two say another one is expected to be released in due time. And although writing and recording have their various appeals, they both prefer to play live, whether that’s at home in Berlin, or touring throughout Europe. The downside to touring, of course, is having to book one’s own shows, but von Keller said there are positive and negative aspects to that. And at the end of the day, what Dobers and von Keller are each doing is making music with someone incredibly special. 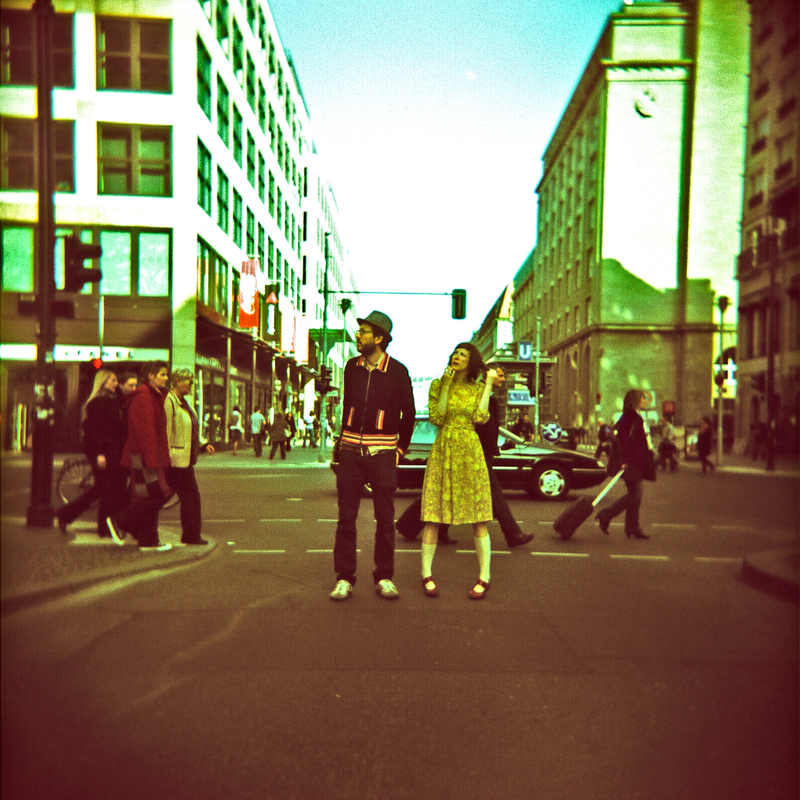 Sorry Gilberto plays Saturday at Wasserturm Kreuzberg in Berlin, as part of the weekend-long Indie Pop Days. The show begins at 15.00. This entry was posted in Interview and tagged Feature, German, Indie Pop Days, Interview, Sorry Gilberto. Bookmark the permalink.